The Great American Mountain Rally Revival Is Completed! I am pleased to be able to say that the Great American Mountain Rally has been revived. After a gap of a little over 60 years, the 2018 Great American Mountain Rally has just been completed. The last time the Great American Mountain Rally was run was in 1956! 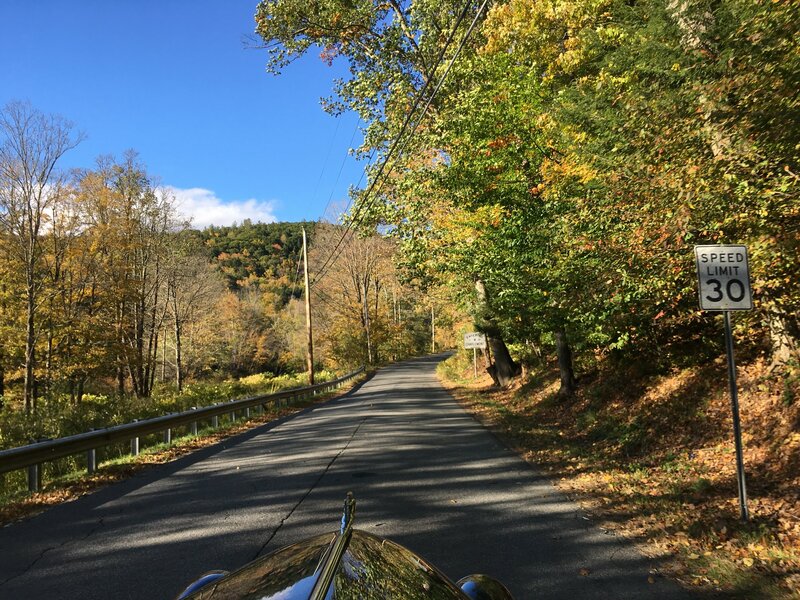 The weather was quite variable during the three days of the rally. We had rain, wind, some thought they say some snowflakes, clouds and sunshine. 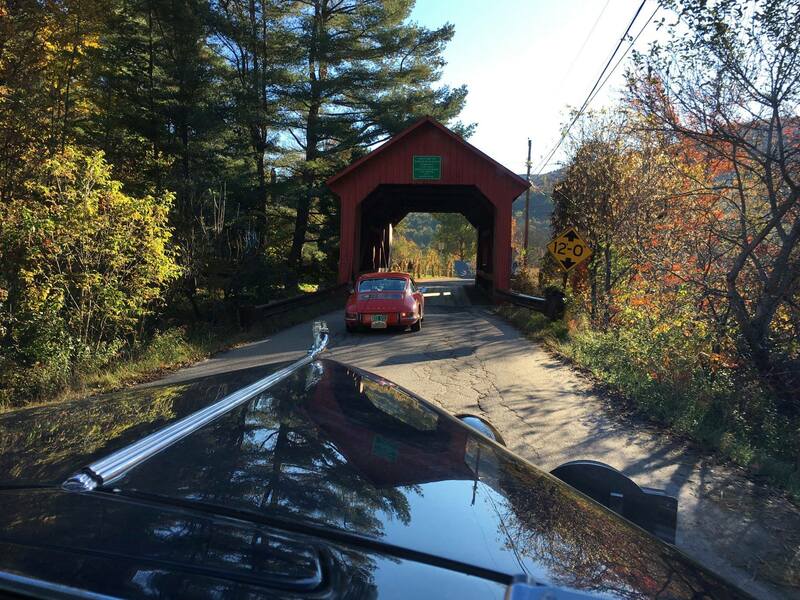 A New England Fall Rally With Fall Foliage, Sunshine, Covered Bridges, and Classic Cars! 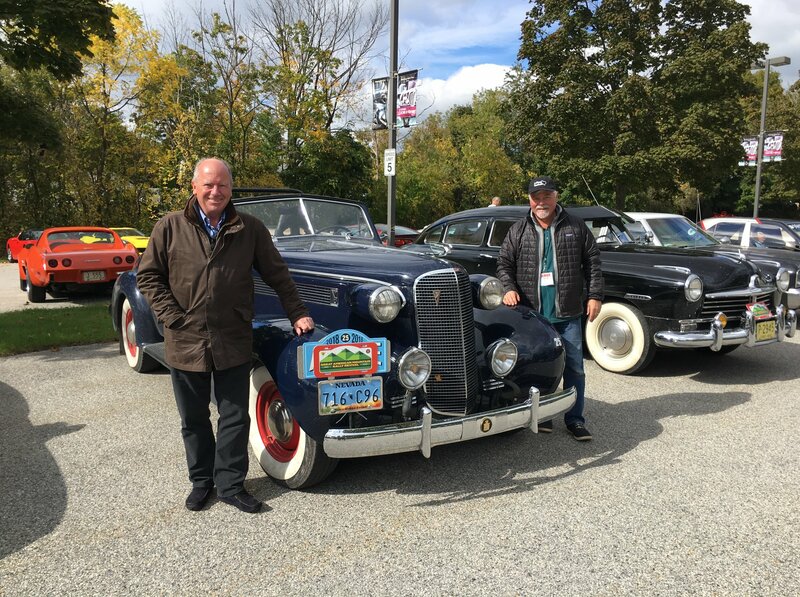 The Original Class was won by Jim Gately/Fred Gallagher in Jim’s lovely and stout 1937 Cadillac. Fred and Jim are shown below standing beside the Cadillac. 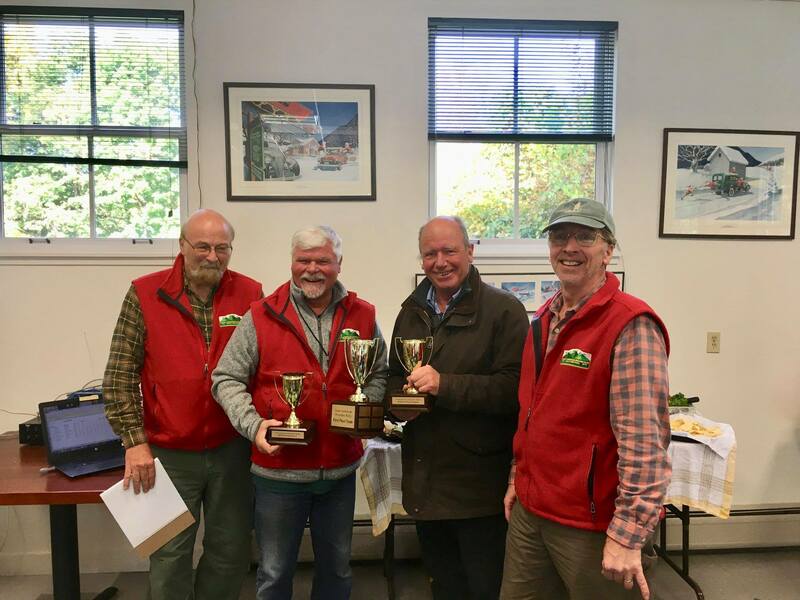 It should be pointed out that Jim Gately is fresh off his win in the Alpine Rally in France. I guess that Jim likes the high country! Jim came from California to take part in the rally and Fred came all the way from England! In the above photo you can also see the 1948 Hudson Commodore entered by Greg and Lynn Davis. 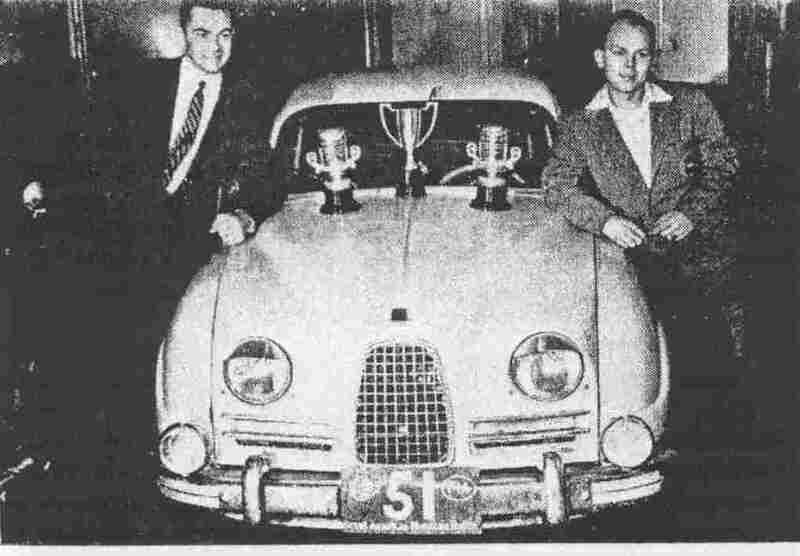 Greg and Lynn had numerous mechanical issues with their Hudson as they came from Ohio, but they were able to keep the big Hudson running to a second place finish in the Original Class, for cars manufactured during or before 1958. In the Classic Class, those cars made from 1959 to 1988, the winners were David Wells and Peter McGuire in a 1966 Volvo 122S. David and Peter came from Ontario to take part in the rally. The top three finishers in the Classic Class are presented below. 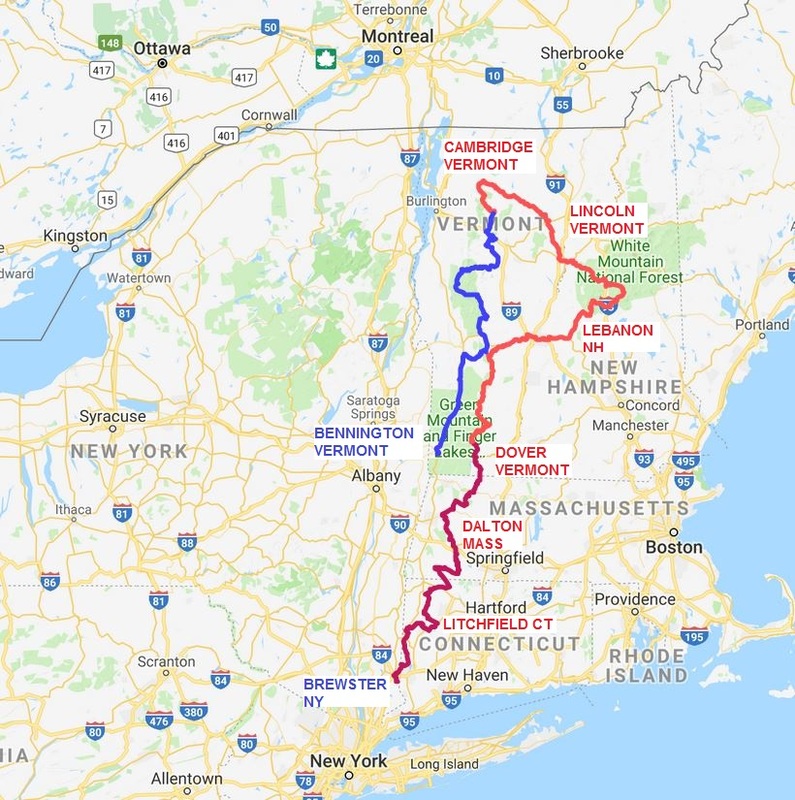 The final route of the 2018 Great American Mountain Rally is shown below. The Modern Class included all cars newer than 1988. The winners Ed and Doug Sain posted some very good times with Doug cranking a Curta mechanical calculator. It was also remarkable that Sebastian von Langsdorff who got the third place trophy in the Modern Class only got his driver’s license a few months ago. I am looking for more pictures of the 2018 Great American Mountain Rally, so if you have some photos that you are willing to share please send some to me. 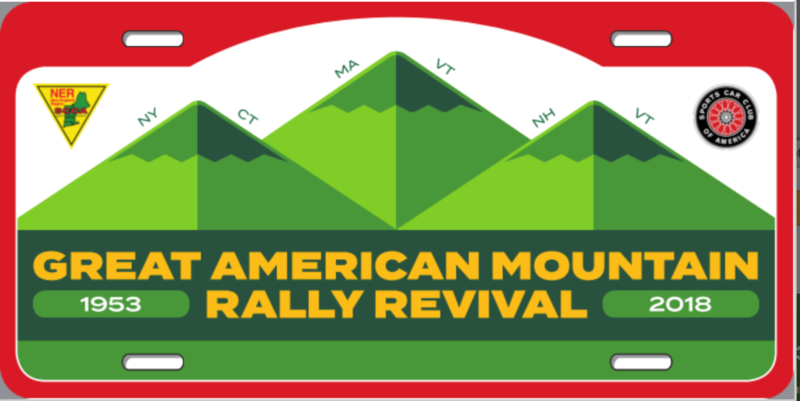 3 Responses to The Great American Mountain Rally Revival Is Completed! Have sent over a number of pictures from GAMRR to Gary. Thank you very much for those photos! This was an awesome event, thoroughly enjoyed by all! We particularly enjoyed doing it in my 1959 Triumph TR3a. A great challenge for me, Jeff Givens, and my incredible navigator Danny Taylor! We will sign up for next years event GAMRR 2019!